The Franciscans of Life raise our voices in prayer to our Heavenly Father for the soul of Rev. 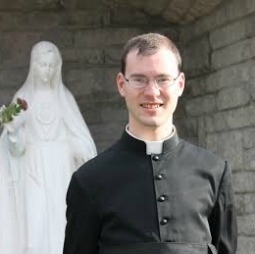 Kenneth Walker, FSSP. We thank God for the gifts that Father brought to the people of God and for having sent him to serve us. May he celebrate eternal joy and peace with Christ the Eternal Priest. We also pray for his family, especially his parents and for his confreres in the Priestly Fraternity of St. Peter. May Our Lady, Mother of All Consolation, be with you at this time and always. Finally, we pray for the conversion of those capable of such violence.